Union Public Service Commission UPSC has been issued an advertisement No.06/2016 for recruitment of various posts in various Govt. The evaluation of Answer Sheets of Class 10+2 (Stream Arts,Science and Commerce) 2nd Semester Exam and Ist Semester Reappear will be started from 28.03.2016.Evaluation of remaining subjects like Physical Education,Biology,CTN,OSE,OSH,MAS,RET,SEC,AUT,PHI,CPU and MHV and Psychology will be start from 01.04.2016. Time of Marking - 9:00 AM to 5:00 PM.A letter has been also issued by The Secretary of Board Letter No. 11942-1342/S-I Dated 18-03-2015 for Marking duty of 10+2 class exam,Letter can be seen by login school ID by entering password provided by Secretary of BSEH Bhiwani..Schools can download their letter by use ID and Password provide by BSEH.This duty is compulsory and no person will be allowed to take leave from this duty. Walk in interview on 29.03.2016 at 09:30 AM. Walk in interview on 30.03.2016 at 09:30 AM. Walk in interview on 31.03.2016 at 09:30 AM. Qualification-Graduation from any recognized University. Age as on 01.03.2016-22 to 35 years. Age as on 01.03.2016-23 to 35 years. Age as on 01.03.2016-25 to 40 years. Qualification-Matriculation from recognized University/Board and Should possess valid civil driving license for all type of vehicle from State Government. Qualification-Matriculation from recognized University/Board. Desirable. Should be conversant with duties of Chowkidar and should be physically fit. For UR-137,for OBC-56,for SC-29 and for ST-24 Posts. Instrument-wise vacancies-Flute/Piccolo-14 Posts,EB Clarinet-46 Posts,Alto Saxophone-20 Posts,Tenor Saxophone-19 Posts, Tenor/Slide Trombone-20 Posts,Brass Slide Trumpet-24 Posts,French Horn/Horn-12 Posts,Euphonium-19 Posts,Cornet-09 Posts,Eb Bass-06 Posts,Side Drum/Snare-19 Posts,Bass Drum-09 Posts,Oboe-05 Posts,Cymbal-05 Posts,Bagpipe-11 Posts,Brass Bass-07 Posts and Tuba-01 Post. Pay Scale-Pay Band of 5200-20200 + Grade Pay 2,000/-. Head Constable ( Education and Stress Counselor)-44 posts. For UR-22,for SC-07,for ST-03 and for OBC (Non Creamy Layer)-12 Posts. Age -20 to 25 years. Qualification-Graduation qualified from recognized University with subject of Psychology .Bachelor of Education (B.ed.). 1st Floor, Transport Workshop Building. Air India GSD Complex, Sahar, Andheri (East),Mumbai-400099. Qualification- Graduate in any discipline + Ability to speak Hindi,English with Local Language+ Preference will be given to candidates having one year experience in related area. Height- : Not below 165 cms for Male and 153 cms for Female candidates.2.5 cms Relaxation to SC/ST candidates. Date of Interview-04.04.2016.Time of Interview-0800 AM to 11:00 AM. Venue of Interview-Air India Staff Housing Old Colony Ground, Kalina, Santa Cruz(E), Mumbai 400 029. Age as on 01.03.2016-Up to 28,OBC-31 and for SC/ST-33 years.Relaxation in age for Ex-servicemen as per Government guidelines. Name of Posts-Female Constable (ESM) General Duty (140 Posts). Age limit-21 to 30 years.No upper age limit in case of retired employee. Qualification-10th Class Pass + National Trade Certificate or equivalent in appropriate trade + National Craft Instructors Certificate awarded by the National Council for Vocational Training OR Diploma of recognized Board or Institute. Tentative vacancies-BSF-28 Posts,CRPF-97 Posts,ITBP-87 and SSB-58 Posts.Total-270 Posts. Age as on 01.08.2016-Minimum 20 and Maximum 25 Years.Age relaxation as per Govt.rules. 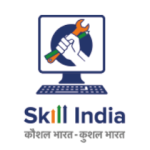 Application Fee-Application Fee 200/-rupees for General and Other Backward Class candidates.No application fee will be charged from Schedule Tribe/Schedule Caste/Female/Physically Handicapped candidates. Last date for application-18.03.2016.Date of written test/interview will be between 23.03.16 to 31.03.16. Exact dates shall be intimated on KVS Jammu website. 63 posts are for Male and 30 posts are for female candidates.Category wise detail are as under-For General-36,for SC-15,for OBC-27,Ex-servicemen General-06,Ex-servicemen SC-02,Ex-servicemen OBC-04,Physically Handicapped (Ortho) General-01 Post,Physically Handicapped (Ortho) SC-01 Post and Physically Handicapped (Ortho) OBC-01 Post.Total-93 Posts.30% seats out of 93 are reserved for female candidates. Pay Scale: Pay Band Rs. 5910-20200 + Rs. 2400/- Grade Pay. Qualification-Bachelor degree from a recognized University with Mathematics and Physics, or Computer Science as subjects. Qualification-Bachelor degree from a recognized University with Mathematics and Physics as subjects. Walk in Interview for preparing a panel for Part time teachers for session 2016-17.These vacancies are against vacant posts and contract is valid up to till the end of this session 2016-17. Walk in interview on 22.03.2016. Total -100 Posts.Reservation-50 Posts are for General,15 for SC,08 for ST,27 for OBC candidates. Age-18 to 24 years.For SC/ST 18 to 29 Years for OBC Candidates 18 to 27 years. Height-Height for Male : 165 cms ( 5’ 5” ).Height for Female : 157.5 cms ( 5’ 2” ). Weight: In proportion to height as per Company’s standard. Selection process- Group Dynamics test +Personality Assessment + Personal Interview + Pre-employment Medical Examination. Language Proficiency- Should be fluent in English and Hindi. Application fee-500/- in favour of Air India Charters Limited payable at Mumbai.No fee for SC/ST candidates. Driver-03 Posts.Qualification-10th with LTV License. Generator Operator-01 Post.Qualification-10th with diploma in Electrical. Carpenter Master-01 Post.Qualification-10th with diploma in Carpentry. Consolidated Remuneration-As per DC rate. Address for Interview-The candidates may appear before the Recruitment Committee of Model Jail,Chandigarh on 09.03.2016 at 10:00 AM along with the required certificates at Model Jail.Sector-51,Chandigarh. Reservation-For SC-05,ST-02,OBC-06 and General-07 Posts. Age as on 01.01.2016-21 to 35 years. Reservation-For SC-07,ST-03,OBC-12 and General-20 Posts. Age as on 01.01.2016-25 to 35 years. Reservation-For SC-01,ST-01,OBC-02 and General-01 Post.Age as on 01.01.2016-25 to 35 years. Reservation-For SC-00,ST-01,OBC-03 and General-00 Post.Age as on 01.01.2016-25 to 35 years. Qualification-2nd Division Master’s degree in Ancient Indian History, Culture and Archaeology OR 2nd Division Master’s Degree in History of Arts OR Post Graduate Diploma in Museology.Passed Hindi in Matric Standard. Qualification-Five years experience as Moulder in recognized Museum.Hindi up to Matric standard.